...and that means One Buck Wednesday at Jessica Sprague. Today until midnight, there are lots of kits on sale for just $1.00 and many half price. I used Jenni Bowlin's Vintage Christmas kit to make my layout and it is on sale for half price today. You don't want to miss this one. It is an awesome kit! 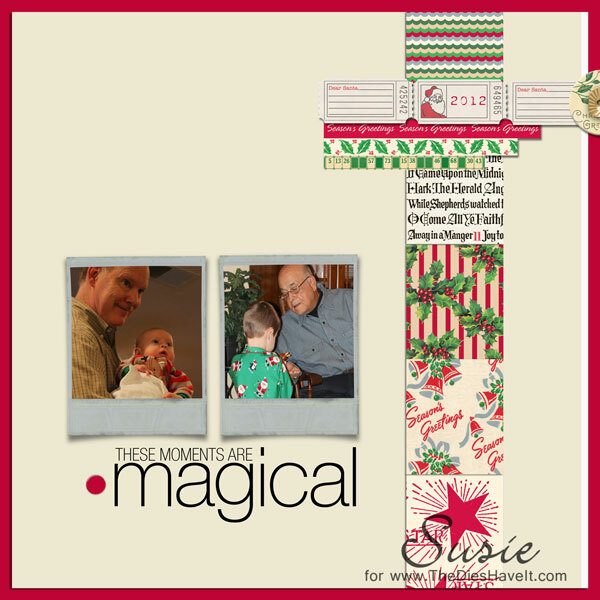 My layout features one grandpa, one great grandpa and two very lucky little boys. I love scrapbooking about those boys!! Hurry on over to check out all the sales. I just LOVE One Buck Wednesday! I'll be back tomorrow with another Christmas themed project and I hope I'll see you then.